This entry was tagged Adam Nevill, House of Windows, Jaime Levine. 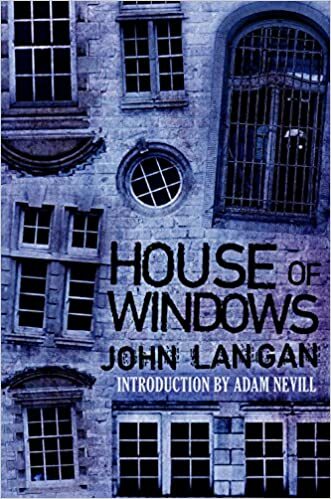 HI, I just finished reading House of Windows yesterday. I just wanted to say how much I loved the way you wrote this, I wanna say, anatomy of a relationship, but maybe it’s more of an anatomy of a character, a couple of characters. This book was a little above me due to all the classics references. You have encouraged me to read harder. I loved Veronica and Roger. It’s kind of weird but I didn’t feel as angry with Roger as I think I should have been. Maybe it’s the way you wrote Veronica but I think we all have those hard-headed relatives. Just, I can’t gush enough about how much I cared for Veronica and Roger, and that’s on your ability to write. So thanks for making my Halloween reading month great because this one was bookended by you. I read the Fisherman at the beginning, which was awesome, and ended it with House of Windows, which is my favorite. Thanks so much for this–I’m delighted the novel worked for you.